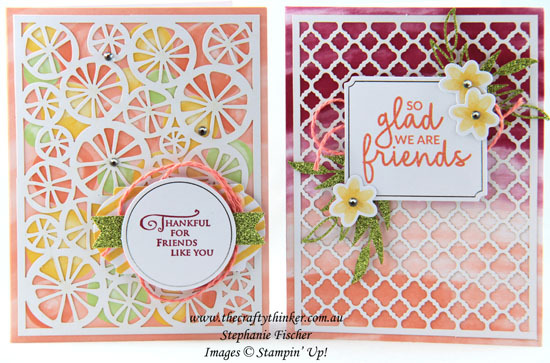 Kits are fantastic for anyone just starting out in cardmaking, anyone wanting to make a bunch of cards quickly and easily and anyone who loves pretty things! The Incredible Like You Project Kit is STUNNING! 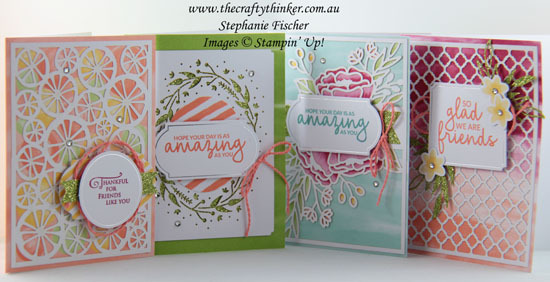 The four card designs in The Incredible Like You Project Kit are simply stunning! 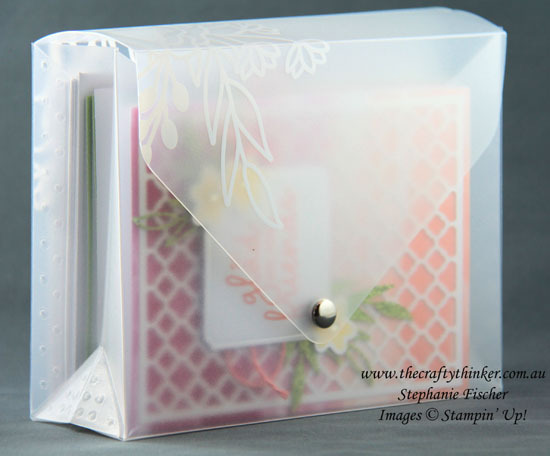 The kit includes four each of the four designs, an instruction sheet, envelopes, a reusable storage envelope and all of the embellishments. (There are a few other things required to complete the cards - see the list below). You may also notice that I changed the ink colour on some of the cards. Made a mistake? Never mind - just turn the label over and do it again. The Incredible Like You Project Kit is simply stunning! I think this may be my favourite design in the Incredible You Project Kit. 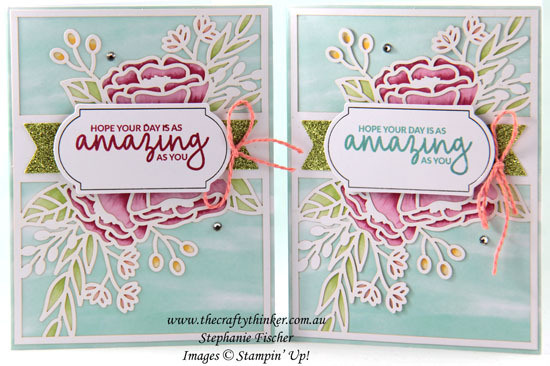 What could be better than easily making these gorgeous cards? Well, by purchasing the required supply list (see below), you'll be eligible for a FREE item from the Sale-A-Bration Brochure! If you don't already have a Stampin' Up Demonstrator and would like some catalogues, please contact me.